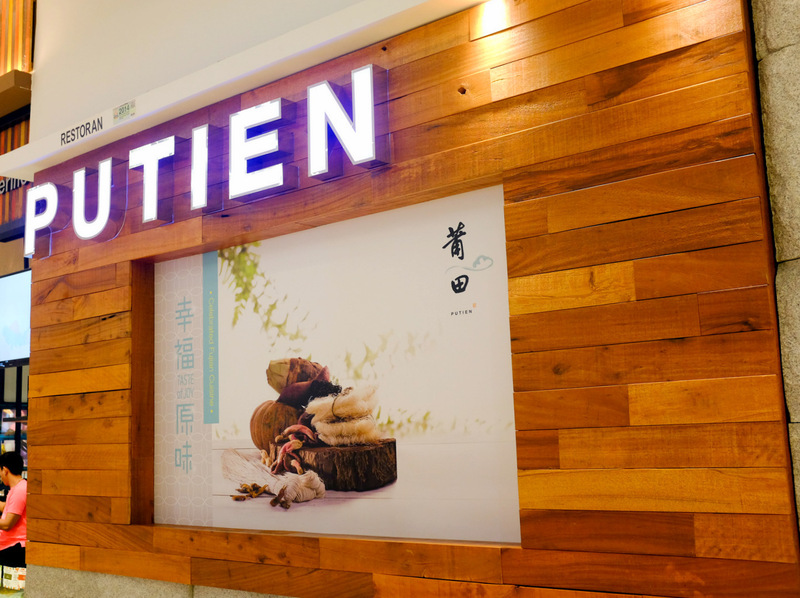 This is the right time to rediscover Putien, which is poised to launch its latest branch on Christmas Eve, Dec. 24, 2015, in Subang's new SS15 Courtyard mall (formerly known as First Subang) to complement its other venues in 1 Utama & Sunway Pyramid. Above are artist impressions of the Courtyard outlet, which will offer a terrific opening promotion until the end of December: Spin a wheel at the restaurant & you'll instantly win one of Putien's Top 10 dishes for free (one spin per table). 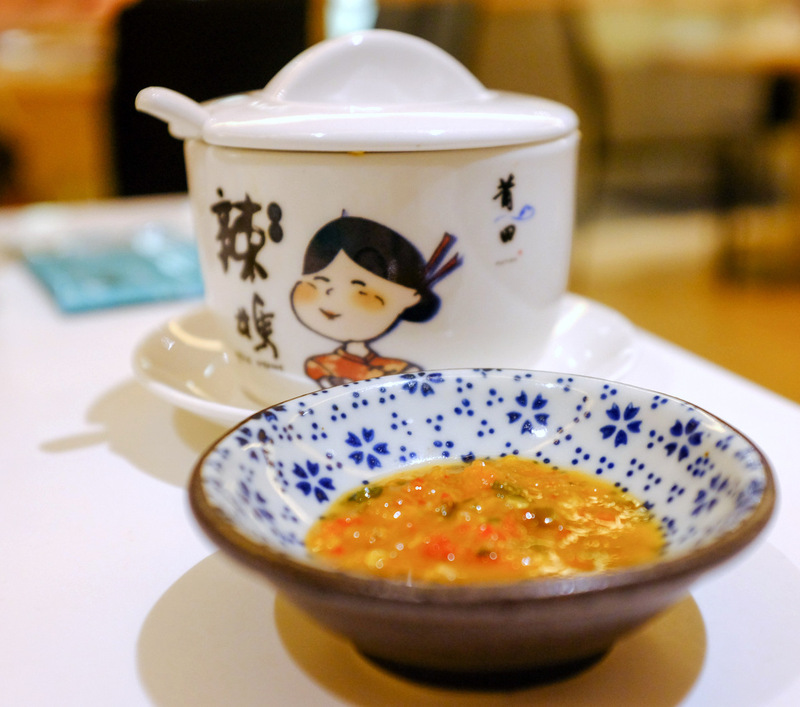 There's a compelling story behind each of Putien's offerings, inspired by the bounty of the land & treasures of the sea from China's coastal city of Putian in Fujian province. 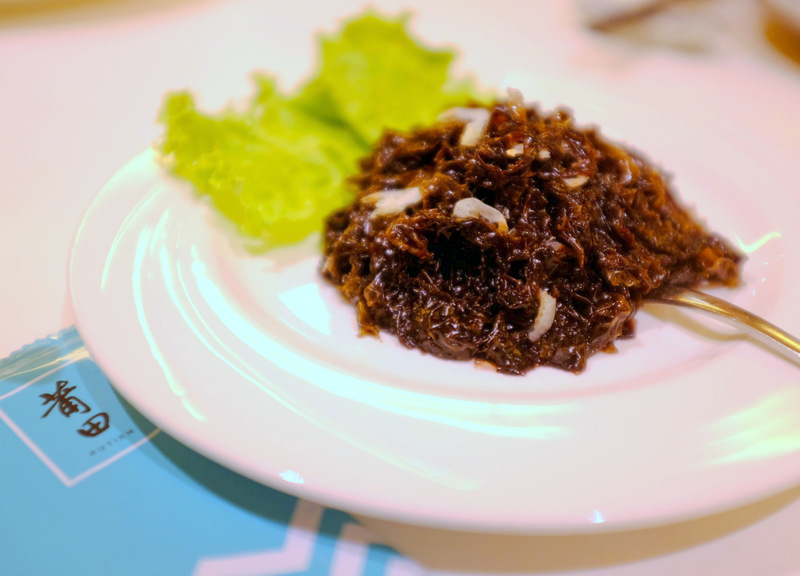 Even a simple-looking starter of seaweed (RM13.90) is the result of meticulous thought & a laborious process - Putien selects high-grade, first-harvest seaweed that's cultivated for only about a week at a specific time of a year when the weather & other elements come together to create finer, smoother seaweed with a rich, natural brininess, tossed here with South China Sea mini-shrimps for slivers of extra crispiness. Perky & perfect for reinvigorating the appetite. 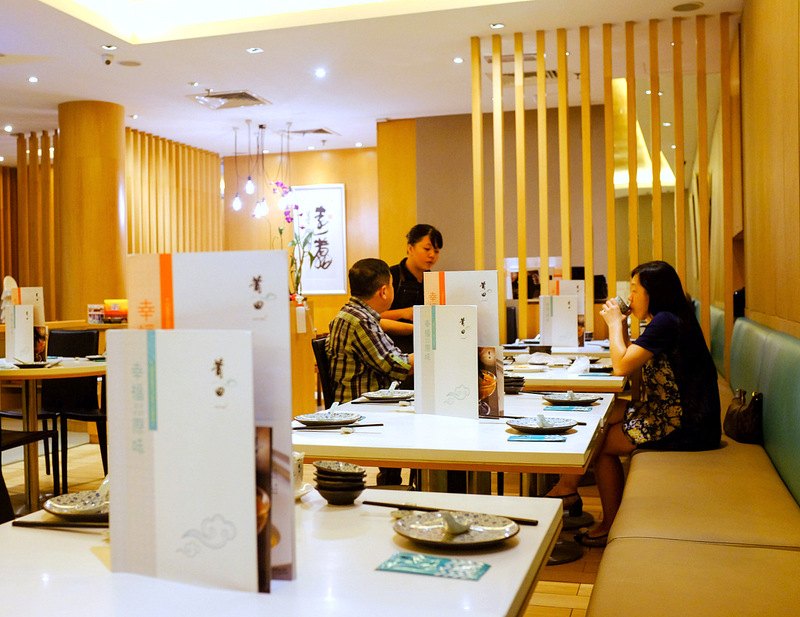 We've always had fond memories of our meals at Putien's first 1U branch - the restaurant leaves a lingering impression with interesting recipes that are masterfully prepared to produce unique flavours & textures. 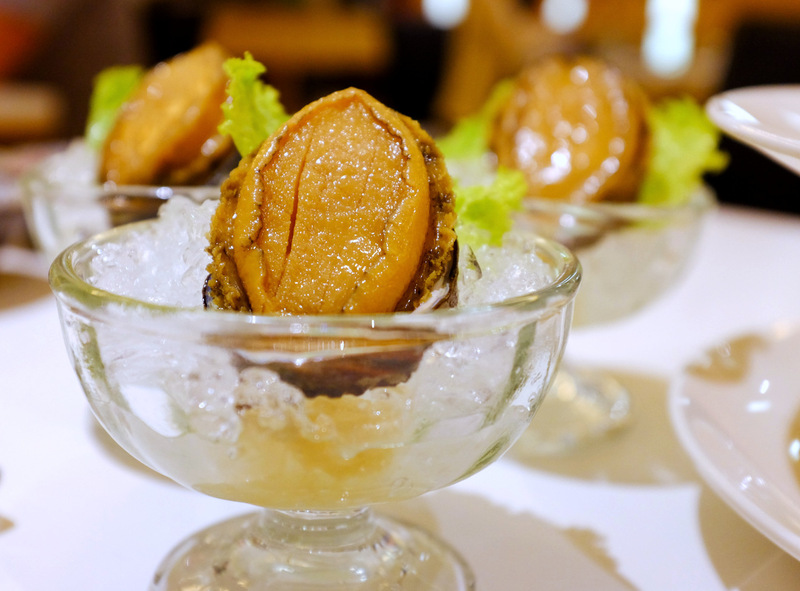 From luxurious abalone to humble cockles, Putien treats each of its ingredients with respect & care: The iced abalone is a triumph of tenderness, furnishing a firm bite that yields to a flavourful juiciness - fairly priced for RM28.90 per piece. 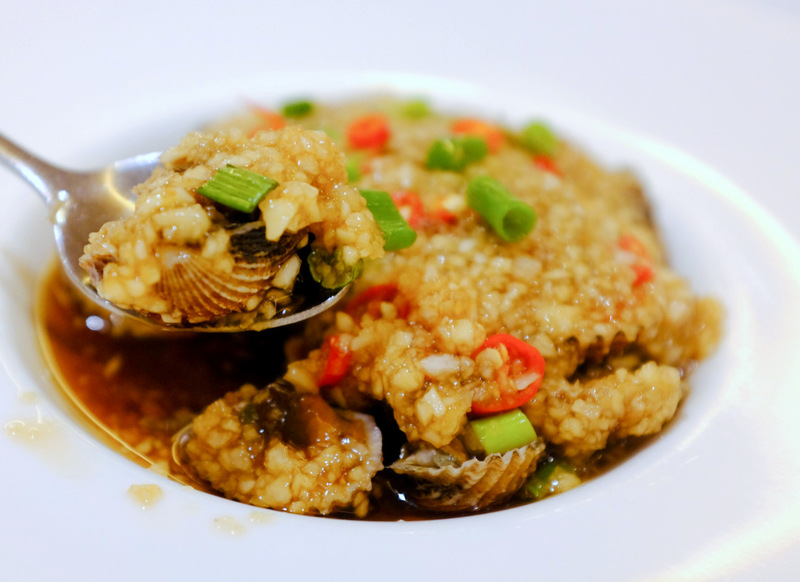 Cockles (RM13.90) are an absolute should-try too, blanketed in a thick blend of garlic & chillies for scintillating dynamics of sweet-savoury spiciness. 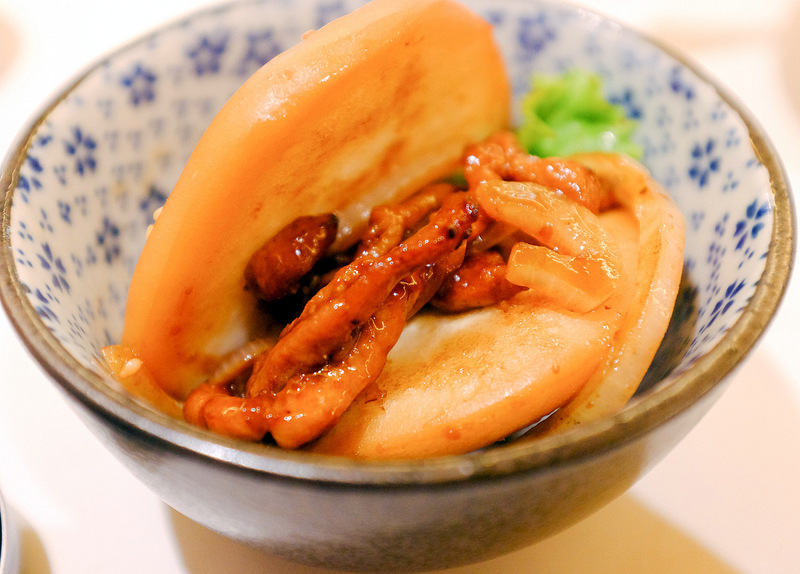 As a testament of its international recognition, Putien has been listed by the Michelin Guide Hong Kong Macau 2016 in the category of Bib Gourmand Restaurant for its Causeway Bay outlet; Putien has outposts not only in Hong Kong & Malaysia, but also Singapore, Indonesia, Shanghai & Taiwan. 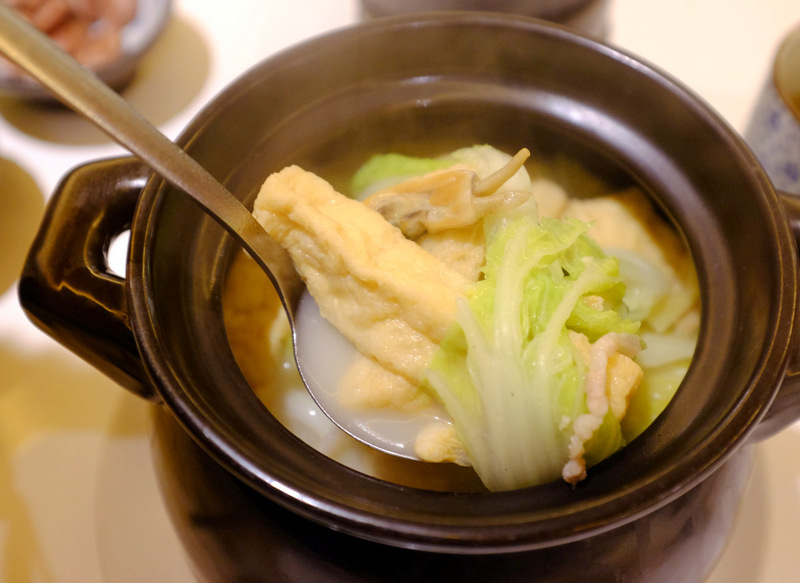 Comfort food that warms the heart, nourishes the body & satisfies the soul is a recurring theme here: We lapped up every last spoonful of the bean curd broth (RM16.90-RM39.90, deliciously fuelled by clams, dried shrimps & scallops, brimming with Chinese cabbage & house-made bean curd that brilliantly absorbs the soup's delicate nuances without turning too soggy. 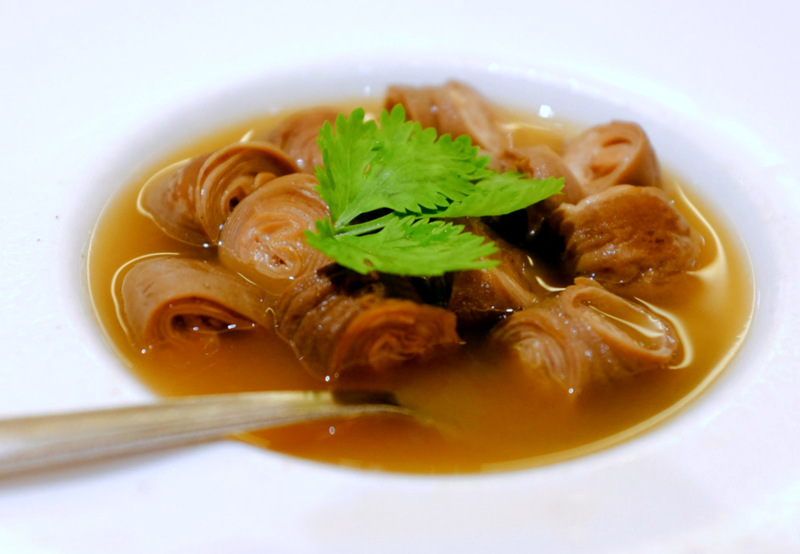 Many customers also adore the pork intestines (RM16.90), an intricate illustration of Putien's painstaking efforts behind the scenes - nine layers of intestines, hand-folded & braised in a 12-spice sauce to achieve bounciness with a herbal succulence. 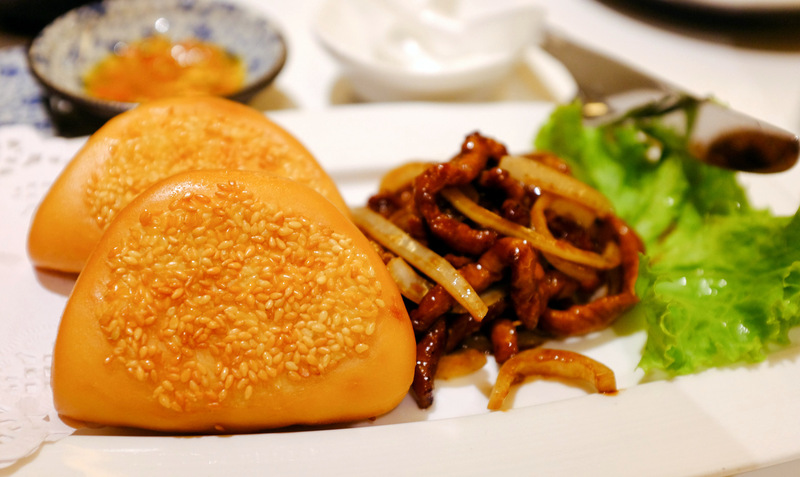 Putien's crowd-pleasing pork temptations include a punchy, playful pairing of shredded pork & onions stuffed into a hot-&-fresh golden sesame bun (RM5.90 per piece; minimum order of two pieces). 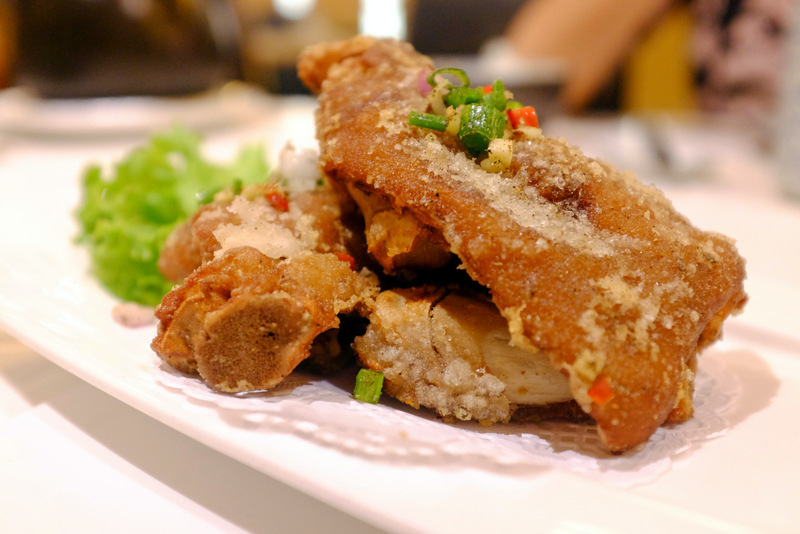 There's also a primal thrill to getting hands-on with (strictly seven-inch) slabs of deep-fried trotters (RM11.90 per piece, minimum order of two pieces), which promise the allure of irresistibly crunchy skin on first bite & gelatinous collagen in each big mouthful. 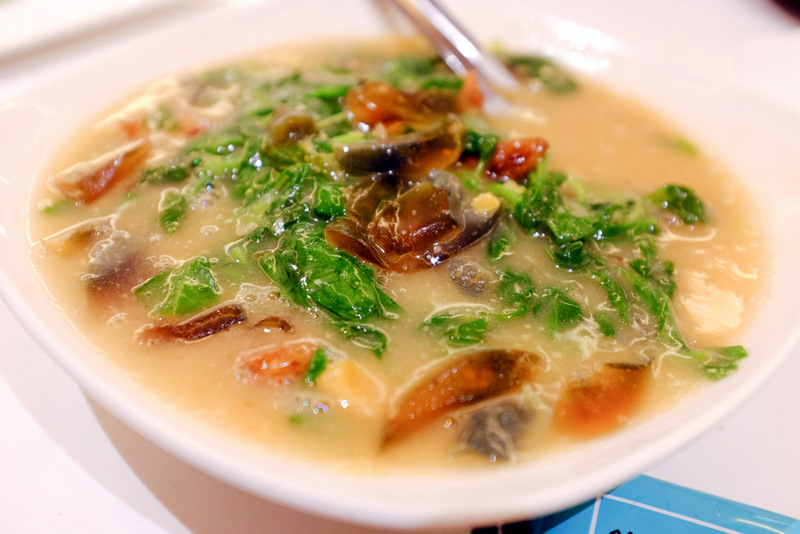 If you're looking for expertly executed meat-free classics, order the stir-fried spinach in a stock of century & salted eggs (RM17.90 for small, RM26.90 for medium) - exactly the kind of vegetable stew we enjoy, with an umami-rich sumptuousness that will likely be loved by both young & old. 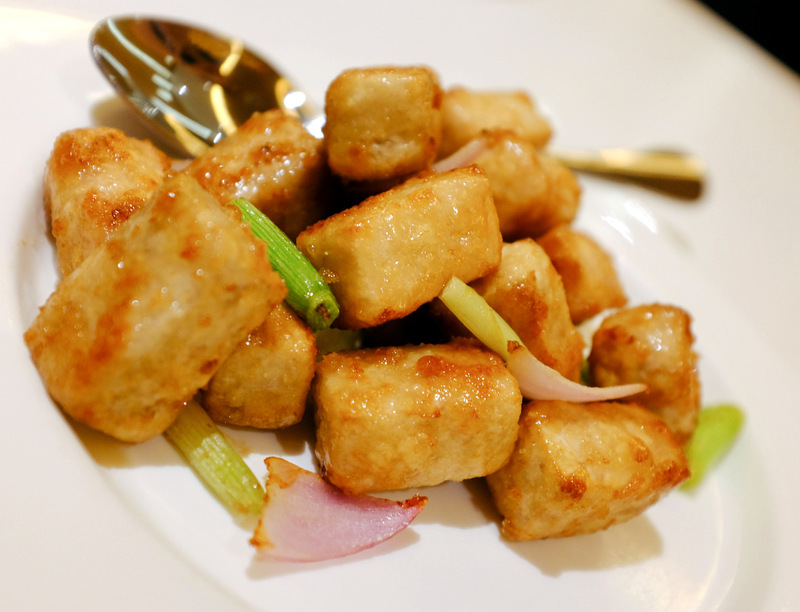 Putien is full of surprises - the stir-fried yam might seem plain, but it's one of our favourites, textured with a caramelised exterior & fluffy-creamy centre, offering a lovely chew well-balanced with a sugary fish sauce coating (RM11.90-RM27.90, available in three portion sizes). 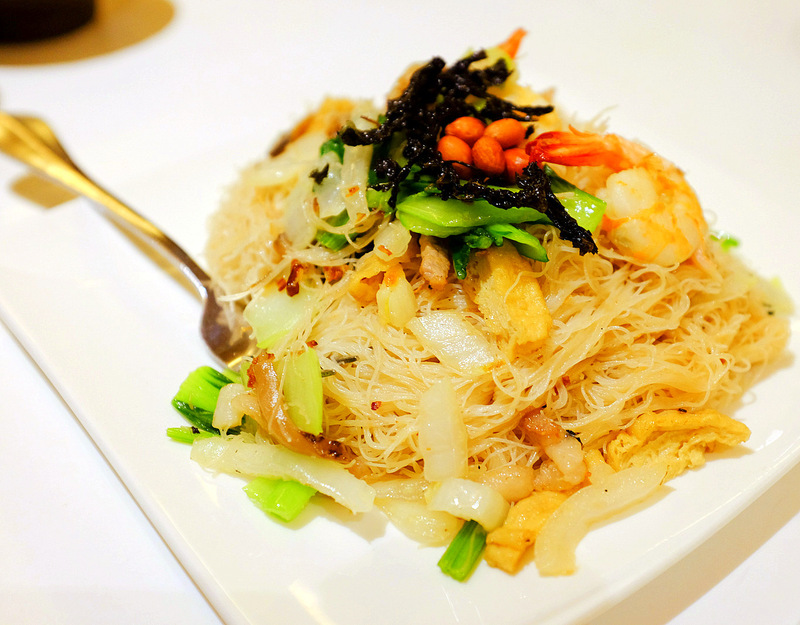 Can't go wrong with Putien's noodles - the Heng Hwa fried bee hoon (RM18.90 for small, RM29.90 for medium) is a signature, comprising sun-dried vermicelli that supplies a firm, non-clumpy bite, so you can really taste each strand, infused in a milky stock of pork & chicken bones, crowned with nuts, seaweed, meat & veggies. 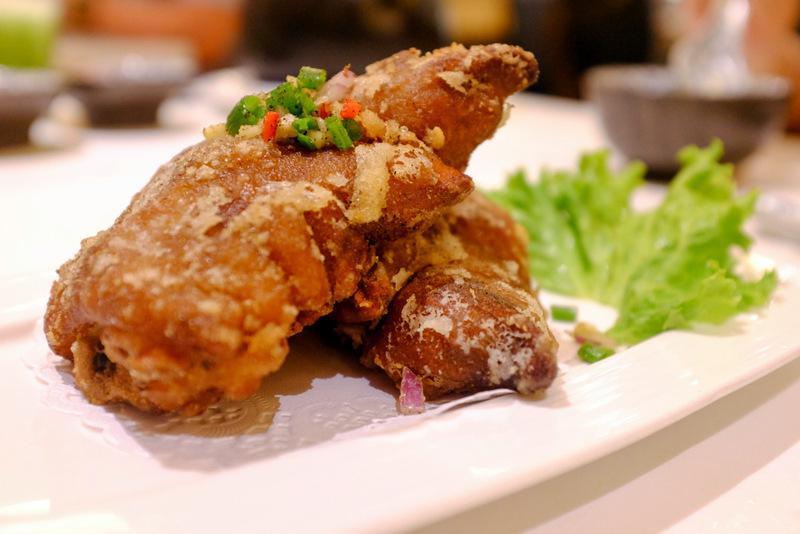 Putien takes genuine pride in this dish - its kitchen team even holds internal competitions to see who can fry the bee hoon best. 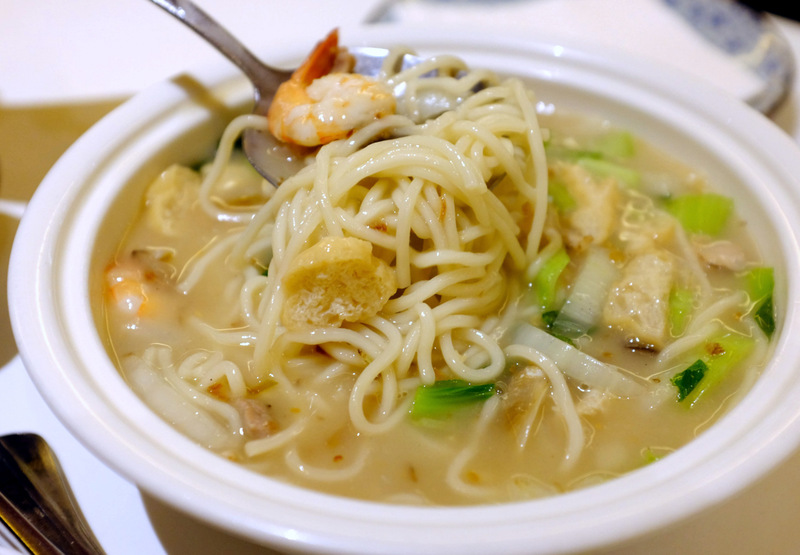 But if you prefer something soupier, Putien's lor mee (RM13.90-RM29.90) is an easy choice too - smooth noodles with pork belly, prawns & clams in a broth that the restaurant rightfully describes as luscious. 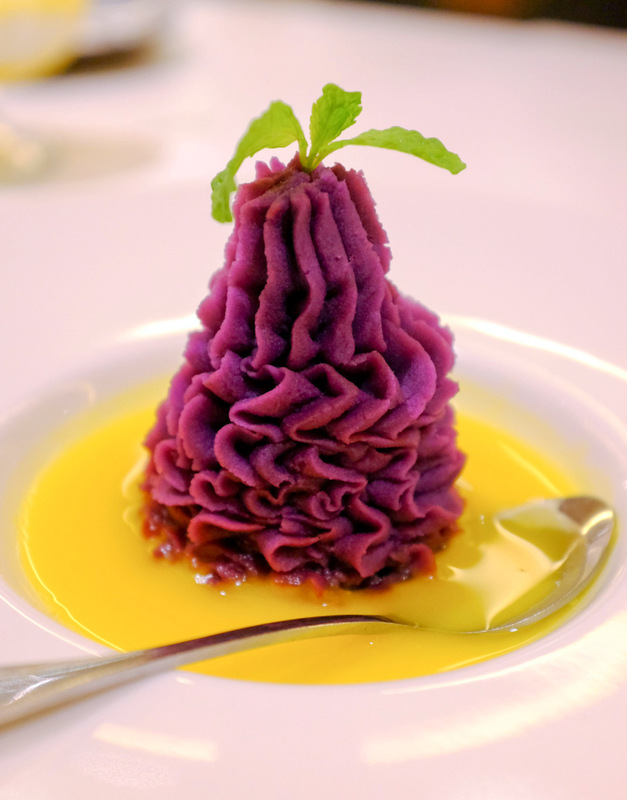 Desserts are far from ordinary - the eye-catching, antioxidant-packed purple sweet potato mousse with pumpkin cream (RM6.90) is ideal for patrons seeking something relatively nutritious & distinctively different. 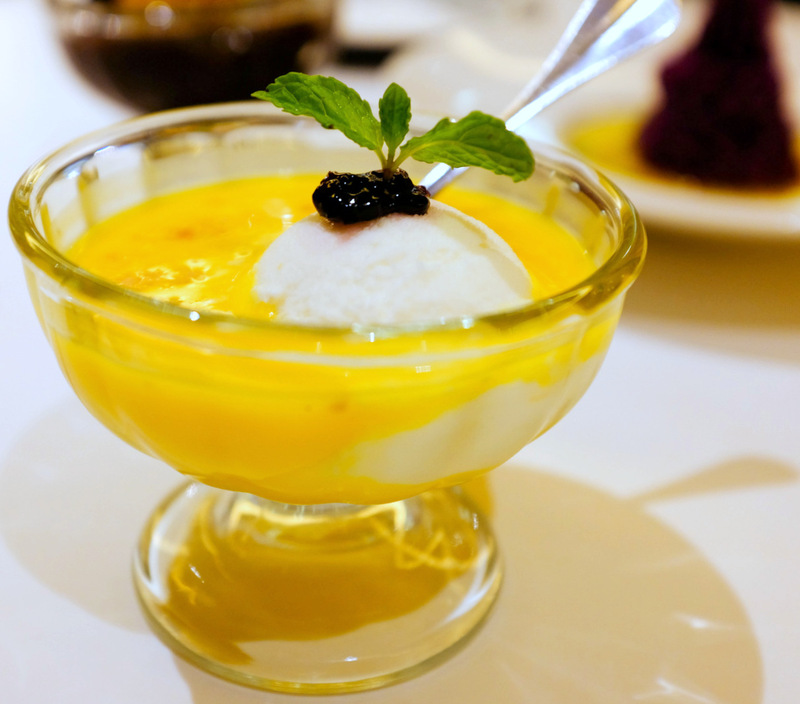 Other highlights include a lively cream of pumpkin with refreshing coconut ice cream & blueberry sauce (RM9.90) & chilled loquat fruit in herbal jelly (RM7.90). 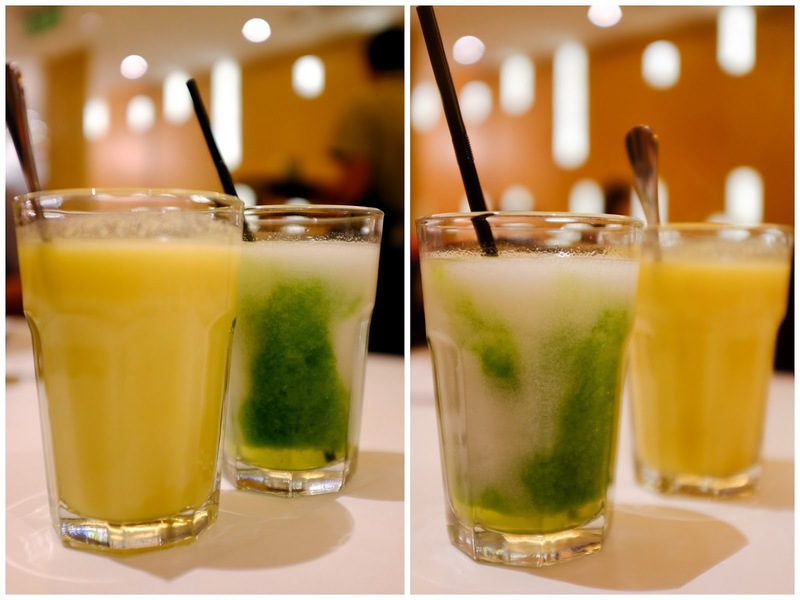 Even the drinks are worth mentioning - we're devotees of the house-made corn juice, warm & full-bodied, filled with the beautiful natural flavours of sweet corn (RM7.90; we'd happily finish two glasses), & the green-&-white goodness of the Infusion, a reviving mix of soursop with vegetables, pineapple & plums (RM7.90). Thanks to Putien for having us back in 1U. 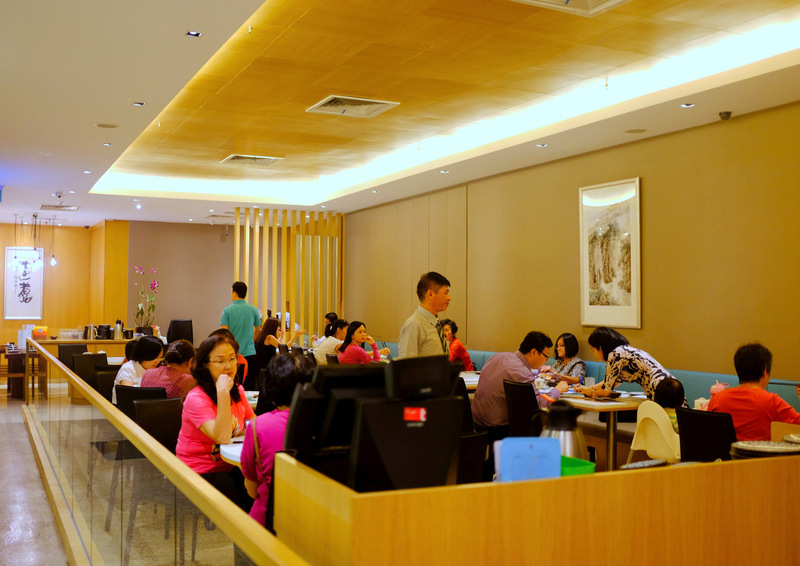 G213A Ground Floor, Promenade, 1 Utama Shopping Centre (Old Wing), Bandar Utama, Petaling Jaya. 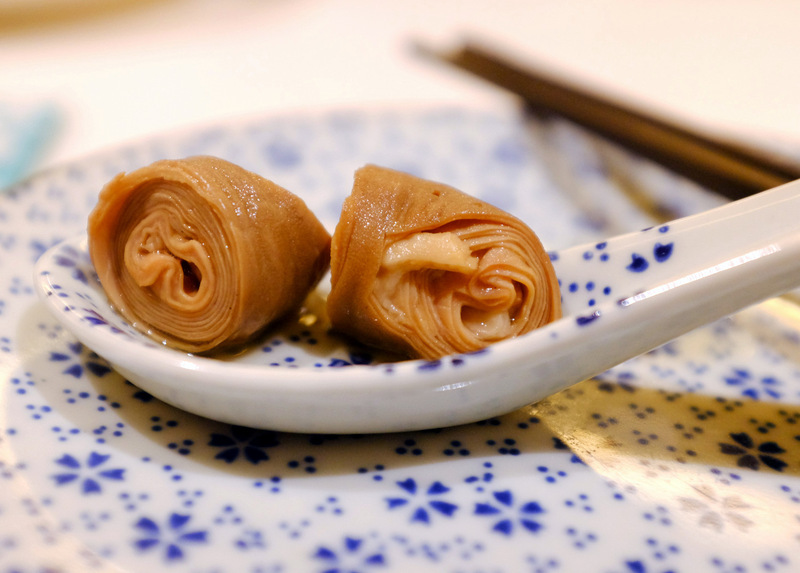 Straight away, I'm attracted to the cockles and the multi-layered pork intestines already! 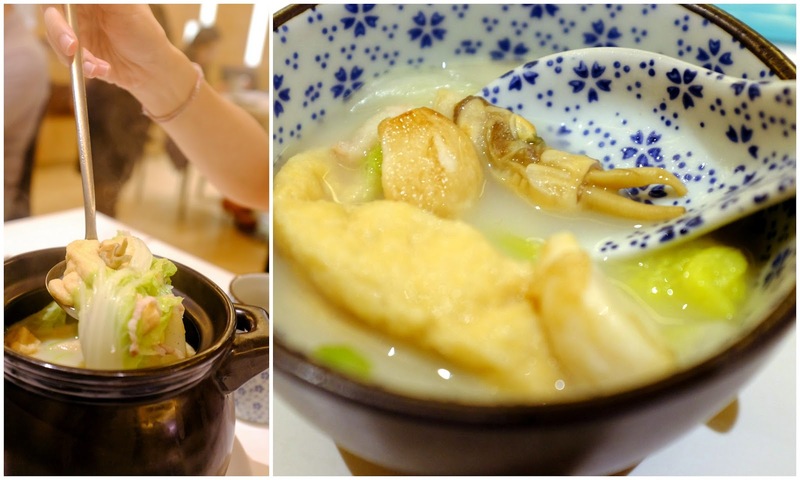 ;D I like that they serve small portions here where one can sample more dishes. I don't indulge in Chinese food all that much but this looks like one I'd like to try. I'll put this down on my list! 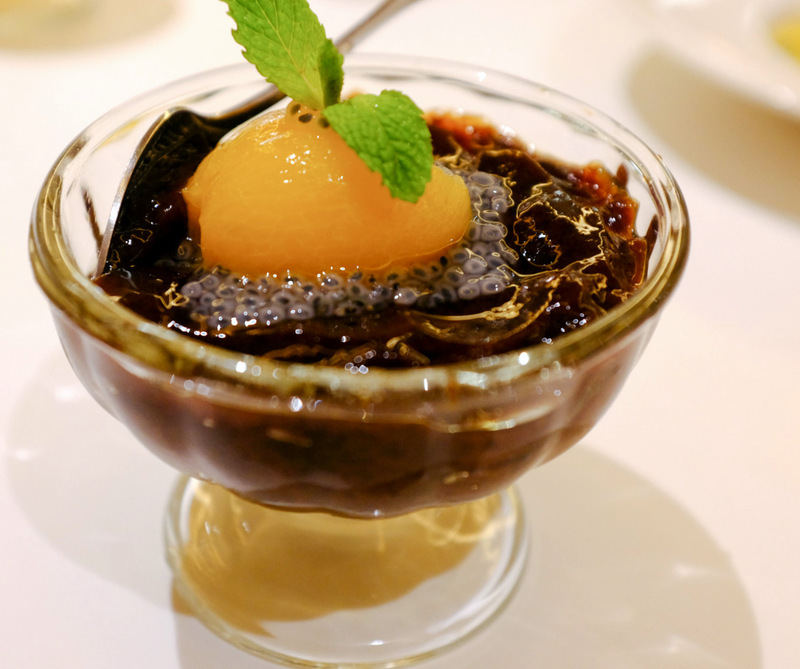 I wanna try that purple sweet potato mousse badly! Love the blue & white crockery, I have a soft spot for those. Ekkkk!!! You have a cockle shell in your spoon! LOL!!! Is that with rice? Can't really make it out. 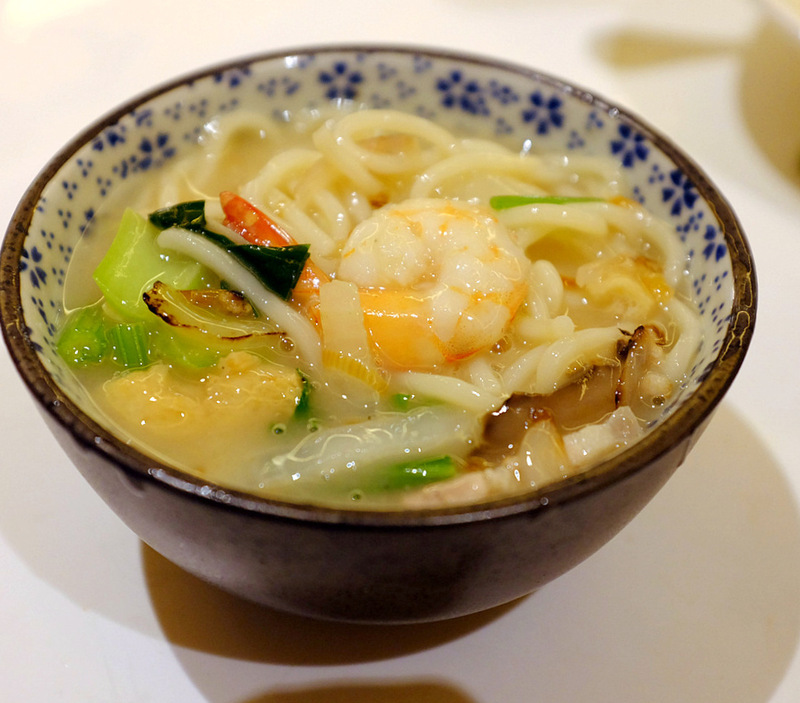 All the noodle dishes look very good, the Heng Kwa bihun sure is a class above the simple ones that we get around here.